We can help you with effective and appealing design, that will promote your show during The Edinburgh Festival Fringe. Our studio can create designs for your event, including all the display, poster and flyer formats available during The Edinburgh Festival Fringe. You supply the text, but no photos / images. We use a suitable photo from Stock Library. 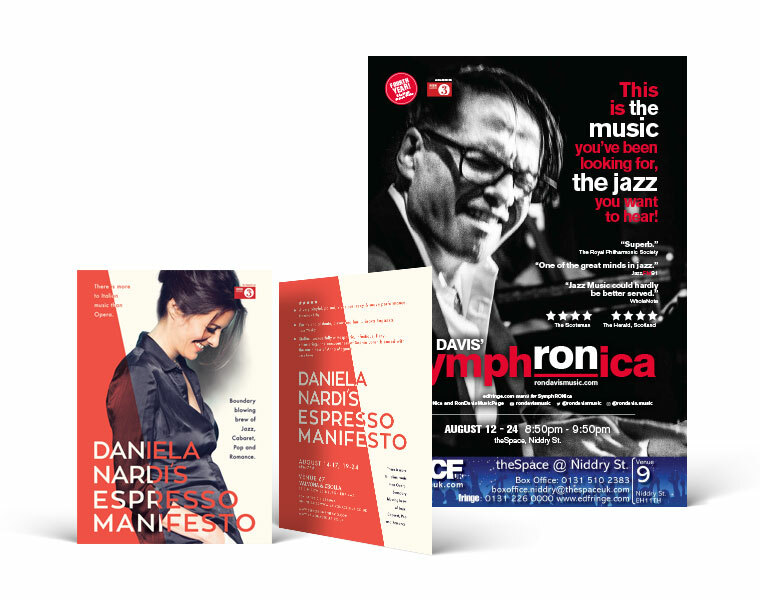 We work with all the different venue groups at the Edinburgh Fringe, so have the specific venue branding guidelines required for your promotional print.